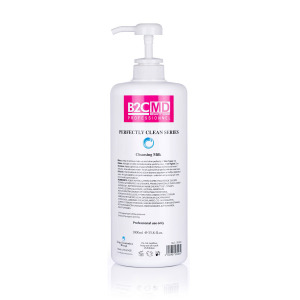 At the foundation of all good skin care regimens, B2C MD Perfectly Clean Series cleansers gently eliminate impurities and remove make-up without stripping the skin. Daily cleansers formulated without fragrance or colorant for the most sensitive skin, but still tough enough to remove excess oil and impurities without drying the skin. Perfectly Clean Series soothes, softens and calms the skin and reduces excess sebum and neutralizes shin. 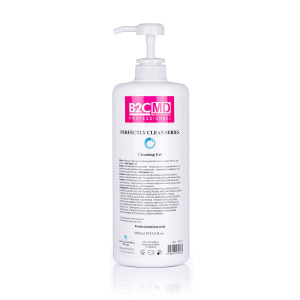 Cleanser, toner and make-up remover based on a micelle principle that releases cleansing agents upon contact with the skin leaving it soft and moisturized. Effectively removes all traces of make-up on face, eyes and lips, restores hydrolipidic barrier and debris without excessive drying. 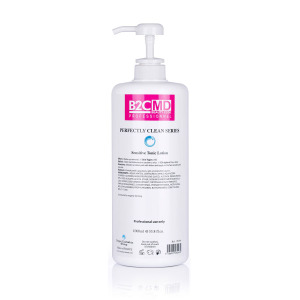 Nourishing formula replenishes moisture and comforts skin that has been irritated by harsh acne treatments. Replenishes moisture and comforts skin.